Naganathapura Plant was established in the year 1989. Among the other Bosch Limited Plants in India, it is the 3rd Bosch Plant. The major products being manufactured in this plant are Spark Plugs, Starter Motors, Alternators, Generators and some products of Gasoline Systems. 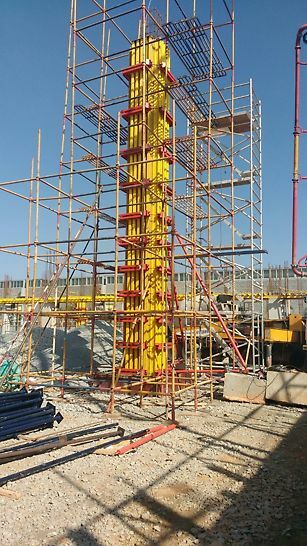 Customer could cast 10m height column in one go with VARIO formwork system. It was achieved with concrete pressure of 150 kN/m². They also achieved very good quality even though structural design for this project was very critical. 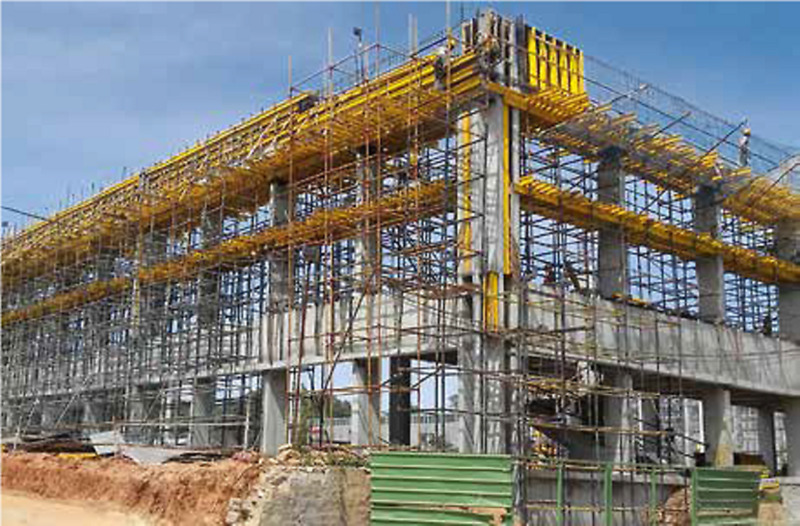 PERI has supplied VARIO Formwork system for walls & columns, MULTIFLEX system for slab & beam. 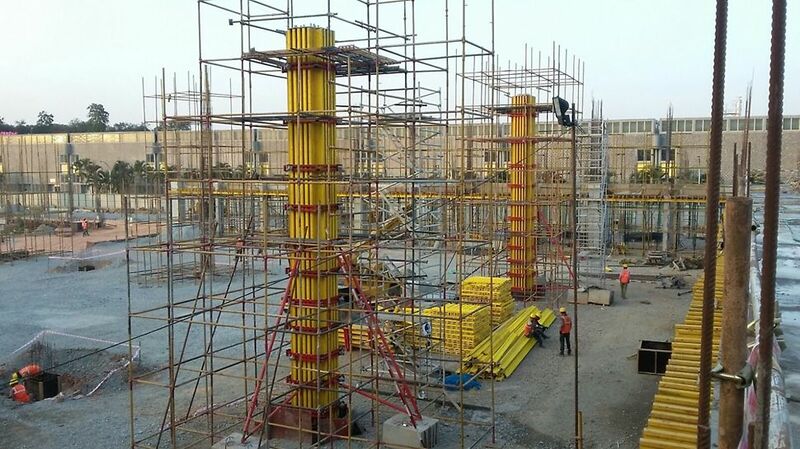 Special requirement from client was to cast 10 m column in one go, with the help of VARIO Column Formwork this was achieved with concrete pressure of 150 kN/m². Since it was a power plant project, slab & beam layout was not uniform. 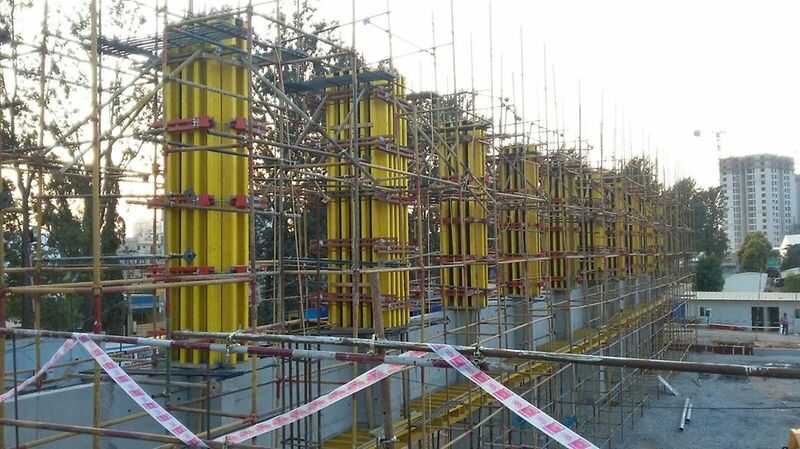 Maximum depth of beam was 1.875 m. With the help of MULTIFLEX slab & beam formwork, casting of non regular structure was carried out successfully.